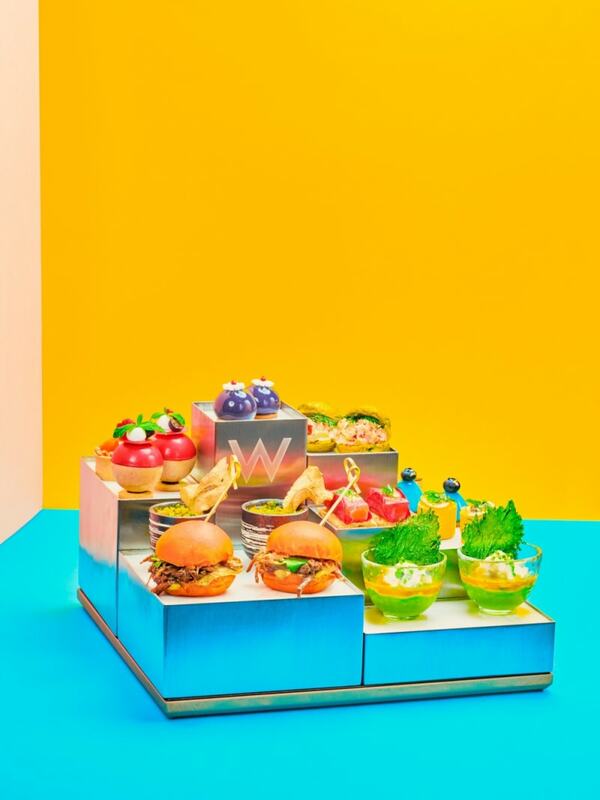 This month, W Hong Kong is offering a new afternoon tea menu at its in-house bar and restaurant WOOBAR. Located in the hotel’s lobby, WOOBAR offers a casual, lounge-style atmosphere for guests to slowly savour this new tea offering. 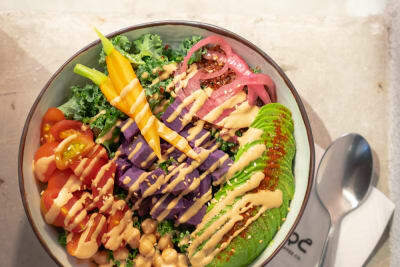 Following the March madness that is Hong Kong Arts Month, W Hong Kong has leaped on the bandwagon and is offering its neon-coloured afternoon tea set from now until 30 April 2019. 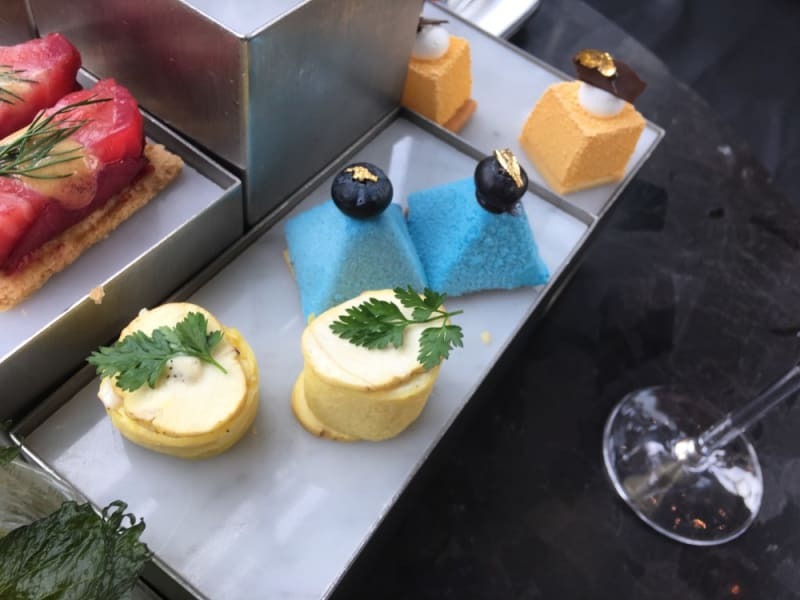 Rightly named Beyond Colour II – Infinite Vibrancy, WOOBAR’s afternoon tea set will not disappoint, testing the limits of diners’ palates while also offering reinventions of familiar afternoon tea dishes. 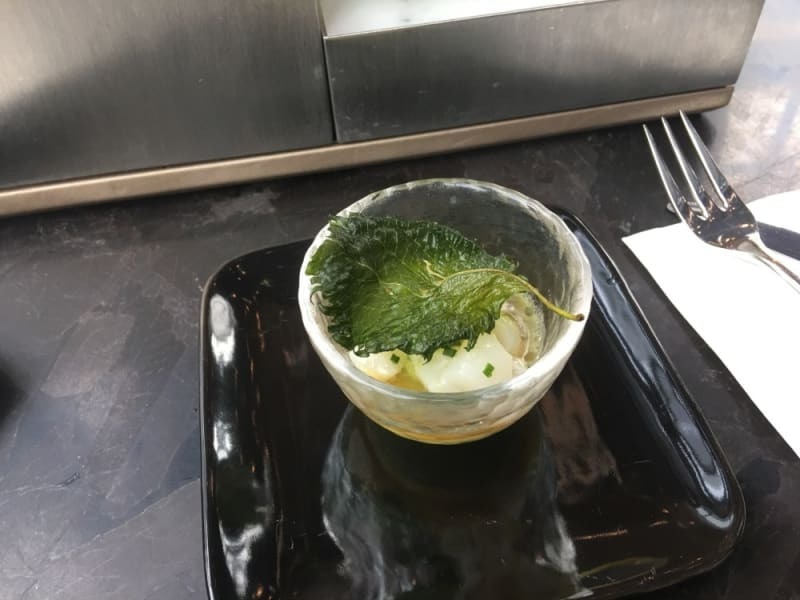 The scallop tartare with yuzu avocado cream and crispy shiso was well balanced and well thought out. It was easily one of my favourite dishes of the dozen. 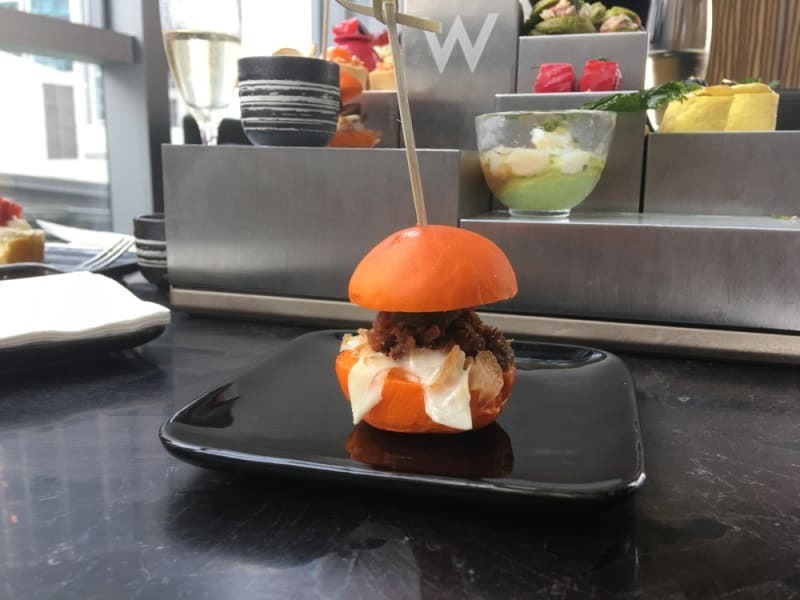 The Thai-American-inspired mini soft bun with pulled BBQ beef brisket, papaya slaw and crispy onion was lovely and flavourful. 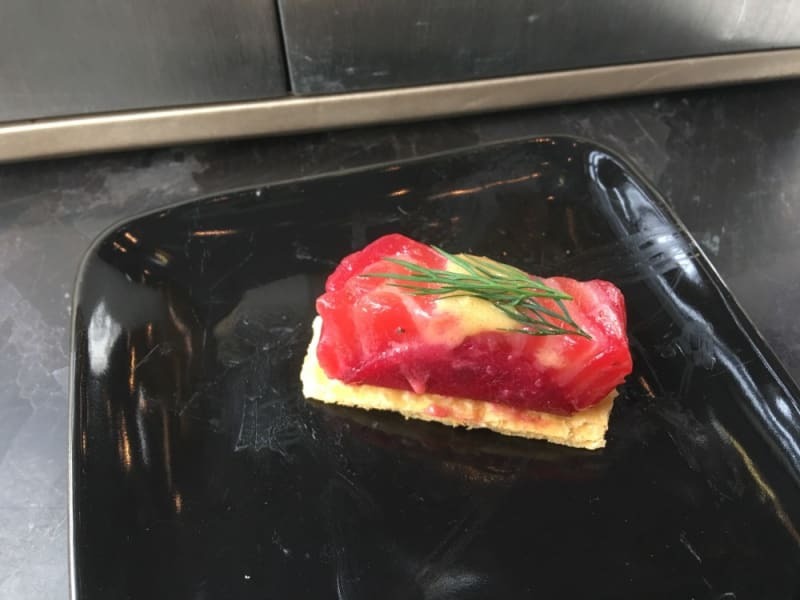 The beetroot-cured salmon millefeuille with mustard was a great raw dish. The mustard and cured salmon worked well together, while the intense red of the beetroot brought a pretty hue to the dish. 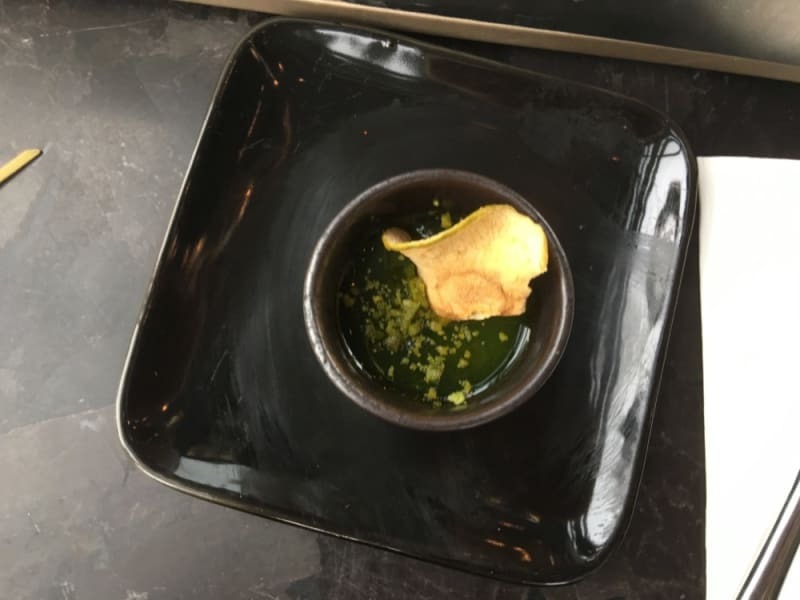 Unfortunately, the foie gras and chicken liver parfait with green apple jelly and pistachio was, in my humble opinion, almost inedible. The acid from the soupy apple jelly served with the parfait rendered it impossible to enjoy. This was a black mark on an otherwise great tea set, but fear not – I communicated this to the maître’d. Hopefully this dish will be rectified before being served again. A thinly veiled but successful attempt to recreate an egg and cress finger sandwich, the egg and truffle salad roll with chestnut and chervil was an innovative take on a classic. 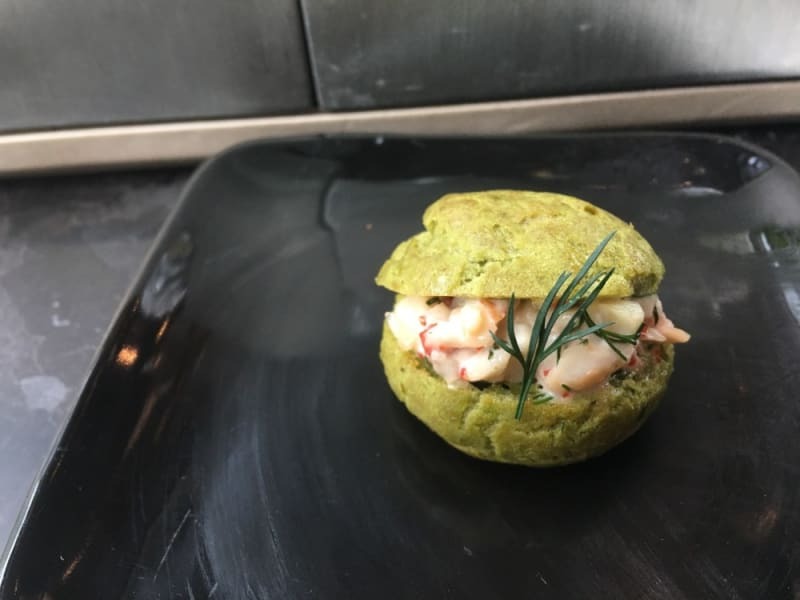 The lobster with salmon roe and thyme served as a decent foray into the more unctuous dishes of the afternoon tea set. 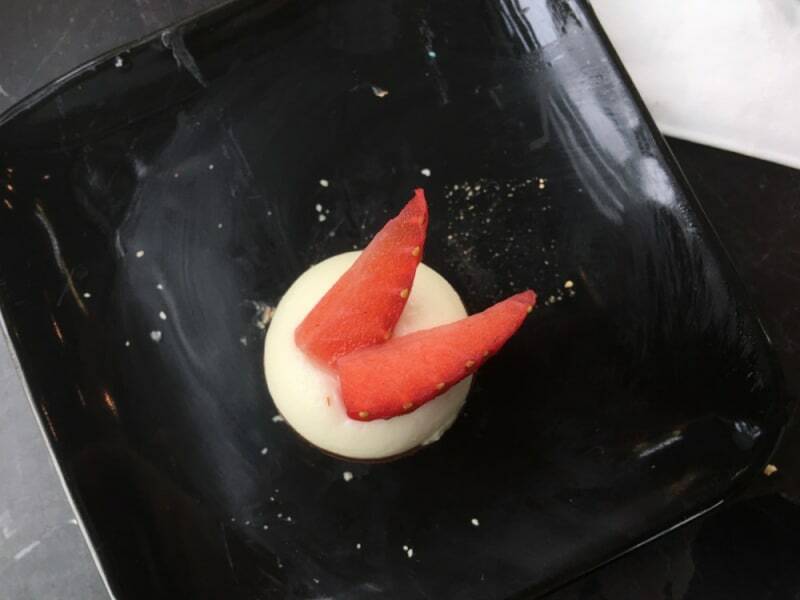 The strawberry and vanilla chocolate tartelette was nice and light, a great play on chocolate-covered strawberries and strawberries and cream. 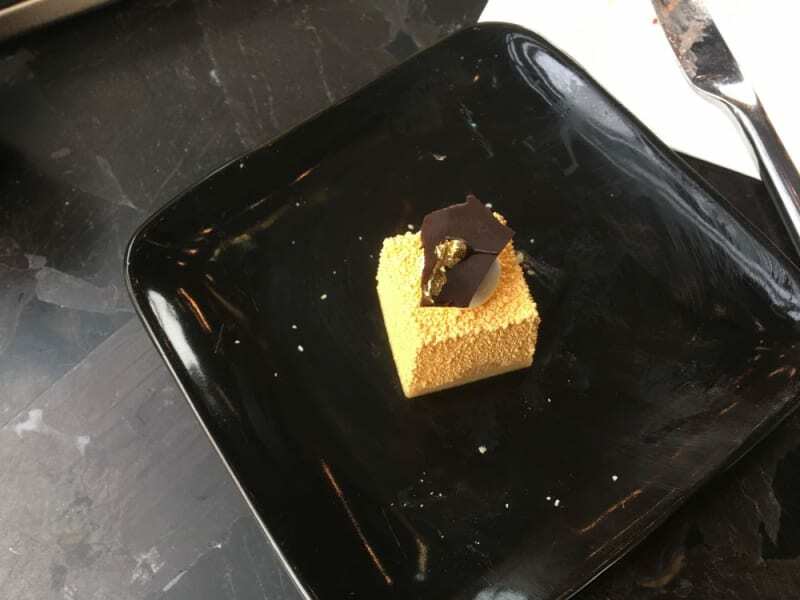 I’m a sucker for any dessert that contains honey, and the milk chocolate and honey stone was no exception. 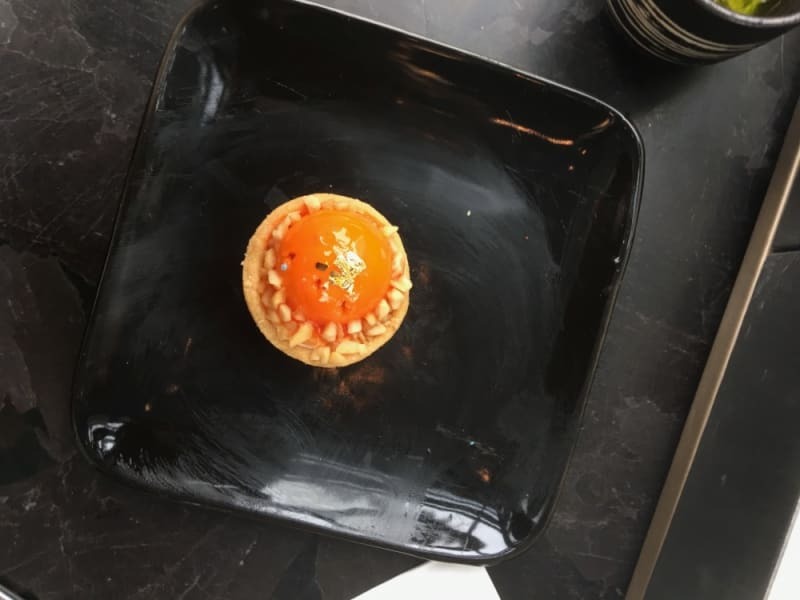 However, the mango tart did leave me yearning for a more intense flavour from the star of the dish: the mango. 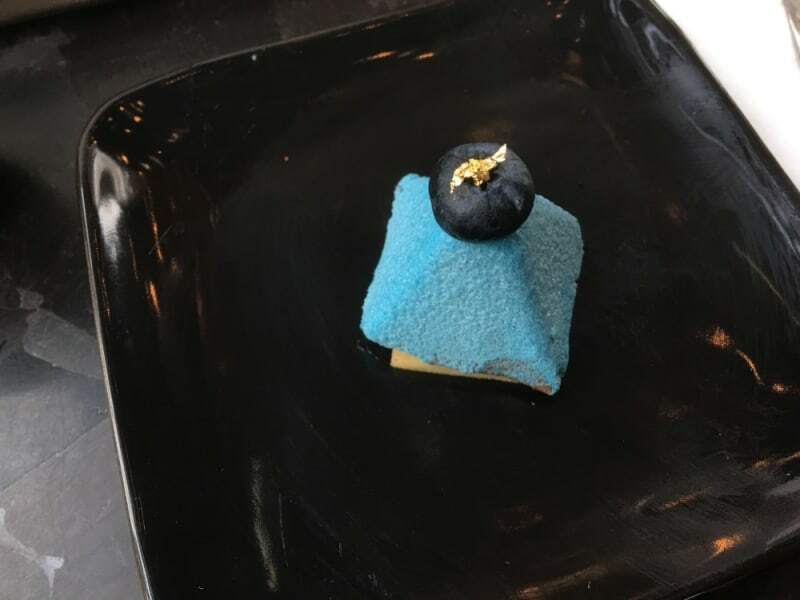 A pair of sweet dark chocolate mousse pyramids was served, and these were well executed. 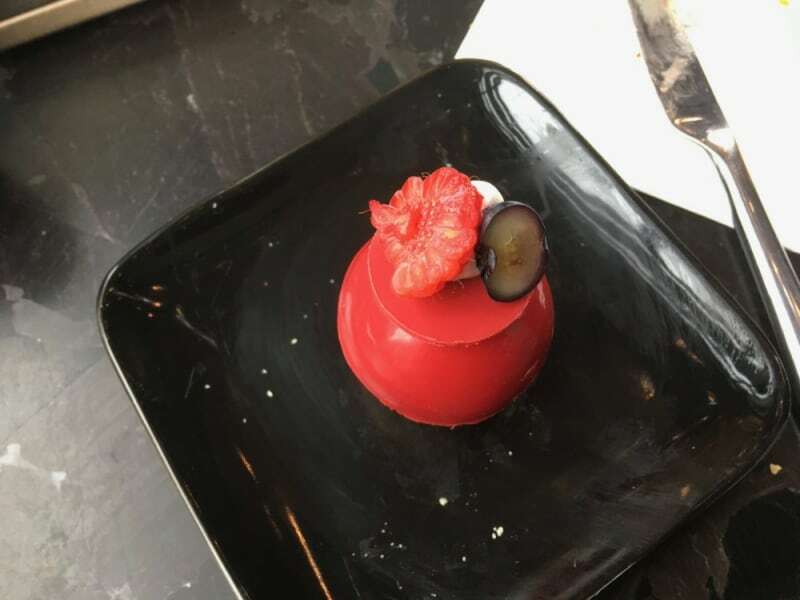 The dessert named red berries power was actually a twist on a profiterole with a berry-flavoured sugar shell. The lemon curd cube combined two timeless flavours: lemon and basil. Wonderfully tart and sweet at the same time, it was a lovely treat. 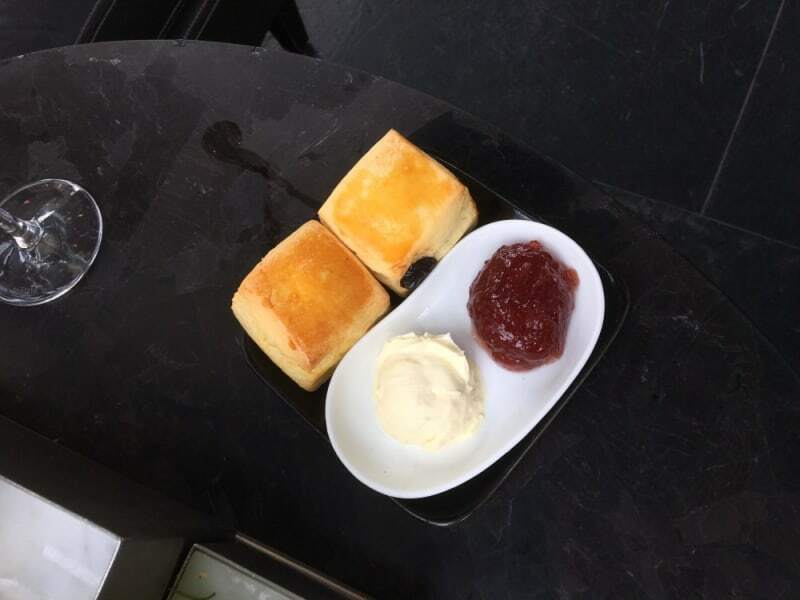 Finally, let’s not forget the obligatory scones with strawberry jam and clotted cream. 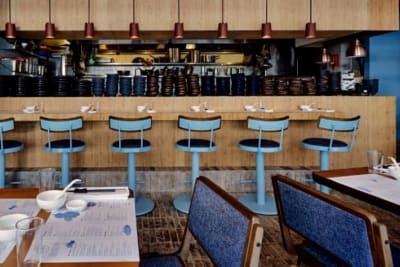 Chef Robert Nilsson kept them traditional, unlike the rest of the menu. I guess you can’t improve upon perfection! 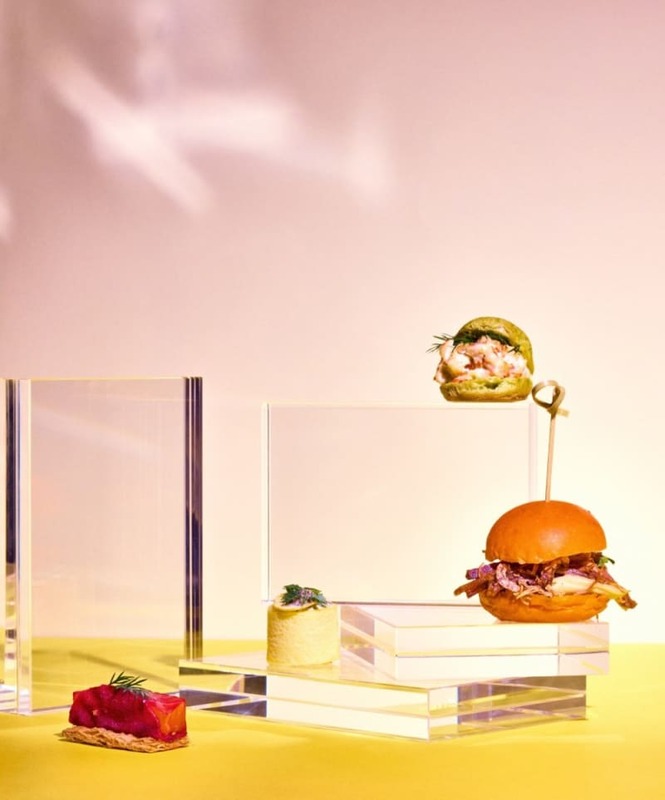 All in all, W Hong Kong’s new Arts Month–themed afternoon tea set is a success. More than anything, afternoon tea sets are about eating with your eyes – they’re a statement of fanciful dining. The visual presentation of the tea set at W Hong Kong hits the mark with its vibrant use of colours and flavours. 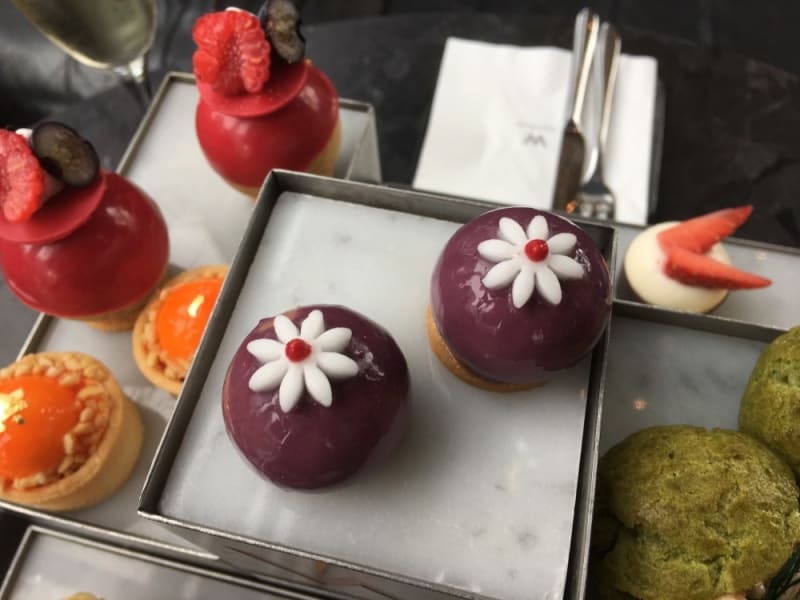 The Beyond Color II – Infinite Vibrancy afternoon tea is available from now until 30 April and is priced at $488 for two people from Monday–Friday, 3–5:30pm. 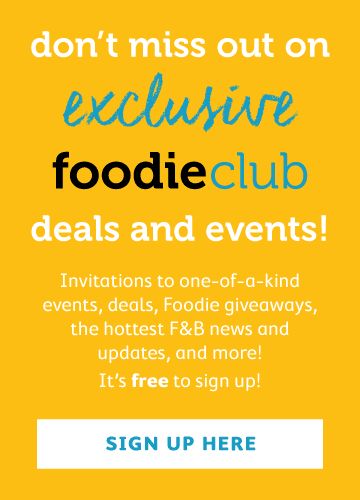 On weekends and public holidays, it can be booked from 2–5:30pm and is priced at $638 for two with two glasses of sparkling wine.